The Delta combines a contemporary triangular shape with the advanced technology of a Lechuza planter. Made from commercial quality polystyrene, this tall column planter is UV and shatter resistant. Available with the Delta is an optional drop-in plant liner and sub-irrigation system. The plant liner allows you to preplant your greenery and transport them to the Delta's permanant location. No more lifting of heavy, awkward planters. With the use of the sub-irrigation system, plant maintenance becomes child's play. 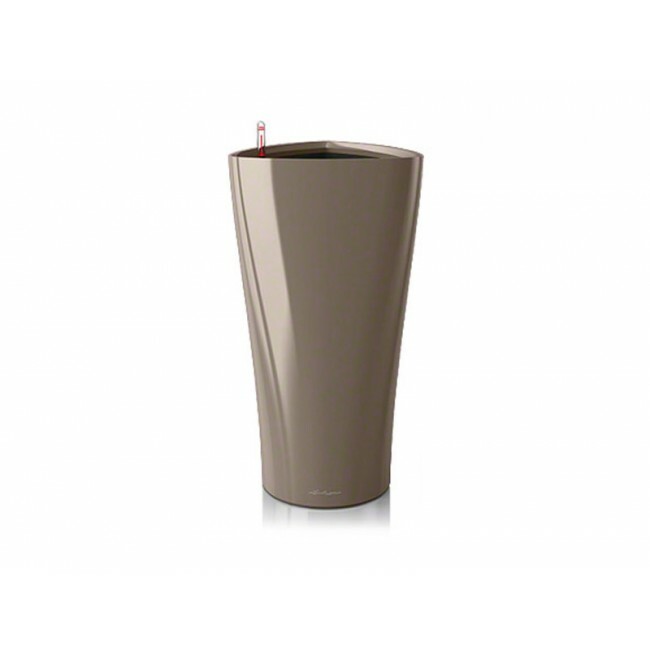 Simply fill the water reservoir and enjoy your creation as the self-watering Delta supplies your plants and flowers with just the right amount of water to flourish for up to 12 weeks. The Delta's unique design and smart features make it a top choice for any interiorscaping plan. 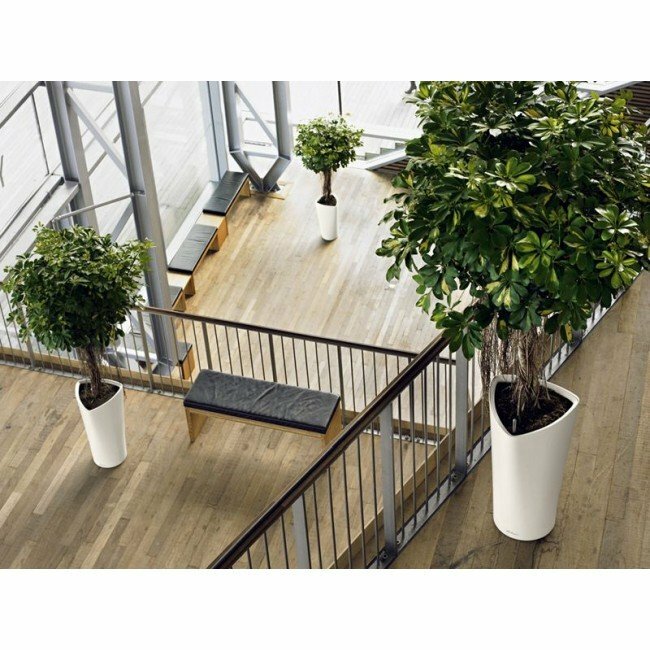 The optional liner system makes taking your foliage and flowers out of the tall Delta for maintenance or replacement a breeze. The plant liner allows you to prepare your plantlings ahead of time and deliver it to your client separate from the container, saving you from the hassle of moving a heavy preplanted pot. Simply place the Lechuza Delta in the desired location, then use the sturdy frame handles of the liner to add your greenery. Add the optional sub-irrigation feature to enjoy the beauty of an award winning container with little watering maintenance. Use the included separator piece to create a reservoir in the bottom of the plant liner. Completely cover the separator with the Lechuza PON to moderate the amount of water your planting will receive. Build layer of high quality potting soil over the PON substrate, plant your greenery, then continue to fill your Lechuza planter with soil. For the first twelve weeks, top water your plant or flower as normal. Be sure to fill the water reservoir using the supply shaft located on the inner wall of your Delta. Once your water indicator level reads "max", the reservoir is full. Note that you should not completely fill the water basin if you are working with plants or flowers that require little water. Once your plantling's root has grown deep enough, they will begin to soak up the water from the reservoir. This will be evident when the water level indicator starts to drop. At this time, your plants will be self-sufficient for up to twelve weeks.